The Outing Club is a great way to get your feet wet canoeing! Or keep them dry, if that’s your thing. If you want to try week-long touring in Minnesota’s Boundary waters, or just spend a day floating on Lake Mendota, this is the activity for you! 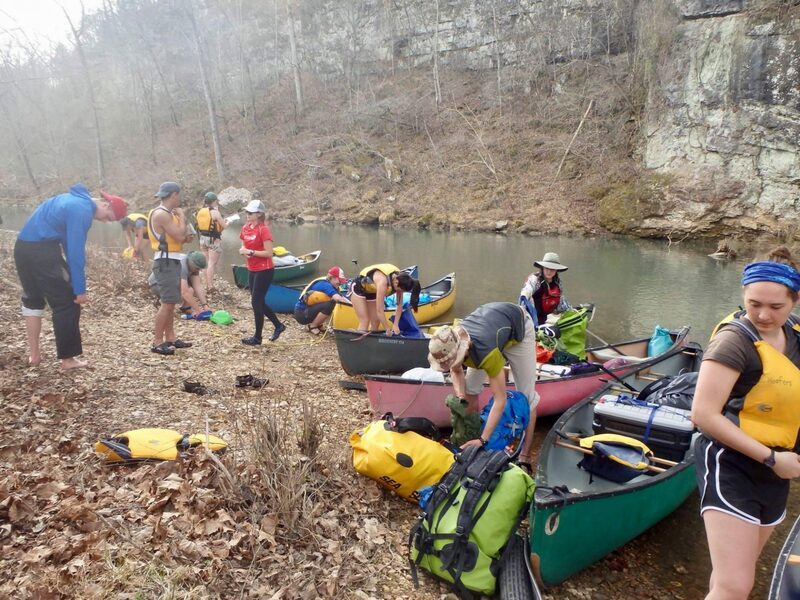 If you have previous paddling experience, the canoe interest group is a great place to find active paddlers in the Madison area. The Hoofer fleet includes many canoes suitable for both quietwater and whitewater paddling. These canoes are available for free use by Hoofer members on Lake Mendota and on club-sponsored trips that take place both locally as well as throughout the Midwest and beyond. Popular destinations for canoe trips include the Wisconsin River, Kickapoo River, Minnesota’s Boundary Waters Canoe Area, and Michigan’s Sylvania Wilderness. Trips can be as short as a lazy weekend afternoon, or 2+ week long tours. Want to Get Out on Lake Mendota? Outing club members can use on Lake Mendota for free, but youmust sign up for a canoe lake lesson first. The lesson usually takes about an hour and will cover basic paddling strokes, safety procedures for Lake Mendota boating, and familiarize you with our equipment. Even if you have prior canoe experience you must attend a lake lesson to become familiar with our equipment and the safety rules for the lake. Once you have taken your lesson, you can go out on the lake whenever the weather is nice!